When children suffer from recurrent ear infections, it can be problematic both to them and their parents. Ear infections, especially middle ear infections also known as otitis media affect majority of the children, often at a very young age. As a parent, if you want to avoid the repeated trips to the pediatrician, the ear tugging and the late night tears, you need to learn more about this type of infection and how to keep your child healthy. 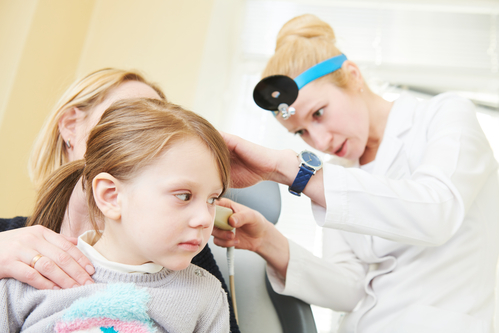 We will answer some of the frequently asked questions about middle ear infections in children. When Does A Middle Ear Infection Typically Occur? Children mostly suffer from middle or inner ear infections when they are congregated in large numbers such as daycare centers. A child will start by developing upper respiratory tract infection, causing inflammation and fluid buildup behind the ear drum. The fluid then becomes infected with bacteria causing your child to develop irritability, fever and ear pain. At this stage you will notice your child tugging his or her ears. How Can I Tell That My Child Has An Inner Ear Infection? If you suspect that your child has an inner ear infection, you need to see a healthcare provider for an accurate diagnosis. Do All Children Have One Or More Ear Infections By The Age Of Six? Ear infections are a common diagnosis in children especially affecting infants and preschoolers. Almost all children have one or more bouts of inner ear infections before age six. Those that develop acute otitis media as infants have a higher chance of getting more infections later in childhood. By itself, an ear infection is not contagious. Ear infections often result from previous infections of the nose, mouth or throat that has relocated and settled in the ears. What Causes Hearing Loss As The Result Of An Ear Infection? Ear infections can sometimes cause temporary hearing loss, especially in older children. This occurs when pus builds up in the middle ear and dampens ear vibrations. Is There A Way To Prevent Ear Infections In Children? Common cold is one of the key causes of ear infections. To prevent ear infections, you need to keep cold viruses at bay by frequently washing hands. Also, ensure that your child receives his or her annual flu vaccine and that they are up to date with pneumococcal vaccine as well. Other lines of defense against ear infections include breastfeeding your baby for the first year of life and avoiding secondhand smoke. What Medication Treatments Are Available For Ear Infections? An ear infection can be treated with antibiotics and in some cases, a doctor may recommend a “wait and see” approach to allow the infection to improve on its own. As time goes by, doctors have found that treating ear infections with antibiotics is becoming more difficult since the bacteria responsible for them are becoming resistant. If your child experiences recurrent ear infections even after receiving medication, you may need to see an otolaryngologist (ear, nose and throat specialist) for tympanostomy tubes.